Flying cockroaches, spiders and a horde of other creepy-crawlies scuttled from their hiding places when the workers decluttered the junk yesterday morning. 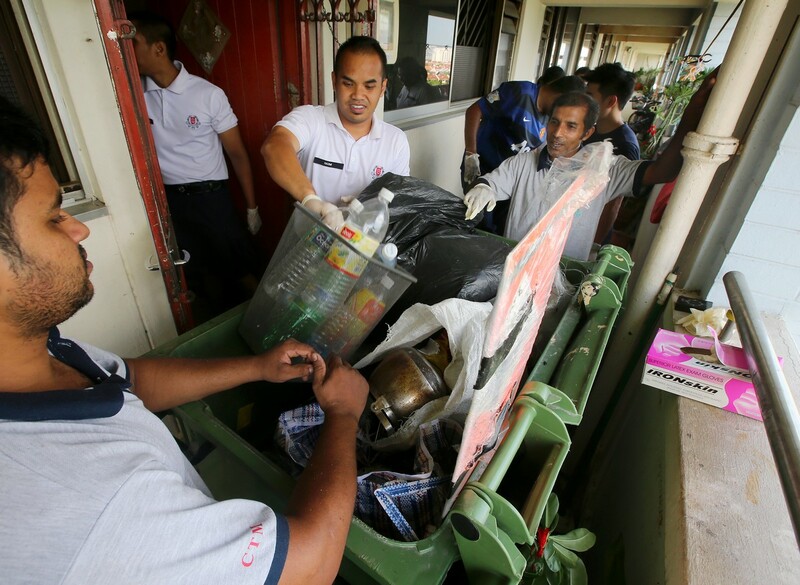 The volunteers and professional cleaners were there to help the Jurong West family who had been hoarding rubbish. 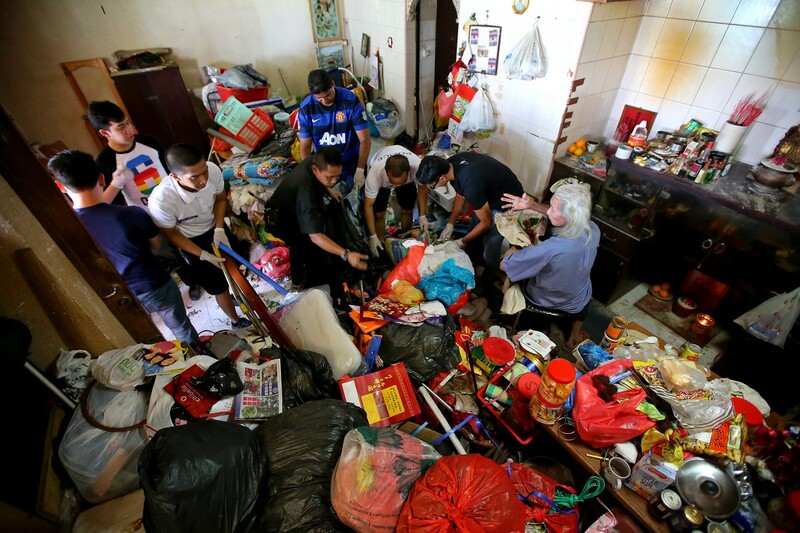 On Thursday, The New Paper (TNP) reported on how the family of Mr Lim Lye Soon, 83, lived amid clutter in two adjoining flats in Block 919. The family would scavenge junk and refuse to throw anything away. 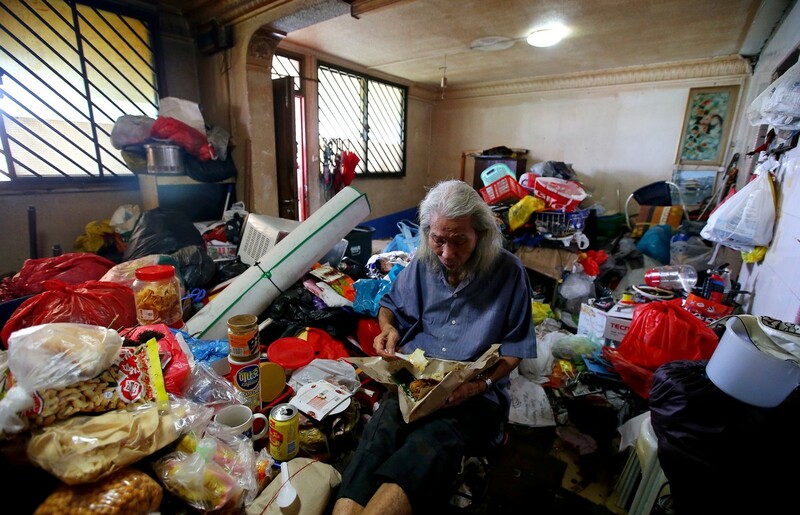 The patriarch lives with his daughter, Ms Lim Siew Tin, 52, and his son, Mr Lim Tian Wah, 49, in one junk-filled flat. 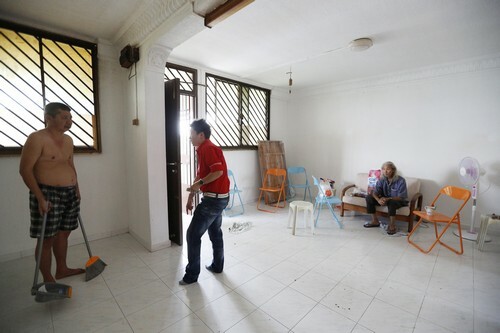 Two other sons, Mr Lim Thien Seng, 53, and Mr Lim Tuan Huat, 56, who is bedridden, live in the other flat. All the children are believed to be Institute of Mental Health patients. 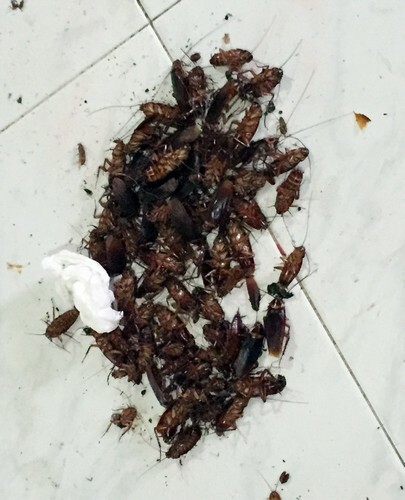 When a reporter visited the flats last week, she saw about 50 cockroaches in one plastic bag and another 15 in a metal cup at the elder Mr Lim's flat. Another six were spotted crawling around an open pot of cooked rice on a counter top. 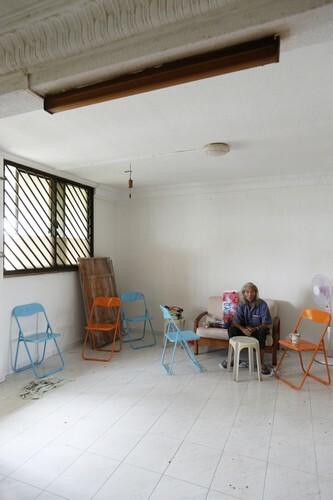 After hearing about the situation from an ex-colleague, managing director of interior design consultancy HomeSavv, Miss Geraldine Yoong, 37, volunteered to organise the cleanup that is happening through this weekend. Cleaning company Genie Cleaning Center volunteered its services. Miss Yoong said yesterday: "I'm sure I saw a few different species of cockroaches, not to mention the different generations that lived together in that home." Yesterday, the family looked on sullenly as the workers tried to remove the piles of sodden cardboard, bottles and plastic bags. Every now and then, a family member would try to retrieve an item. Miss Yoong said: "It really takes a lot of effort and patience. As we throw stuff out, they keep taking it out of the temporary bins that we have in the house. "Then I have to convince them that they don't need the junk before they really just let go of it." Miss Yoong said she hopes to at least scrub one flat before the arrival tomorrow of fumigators and pest controllers, for which she paid about $780 out of her own pocket. 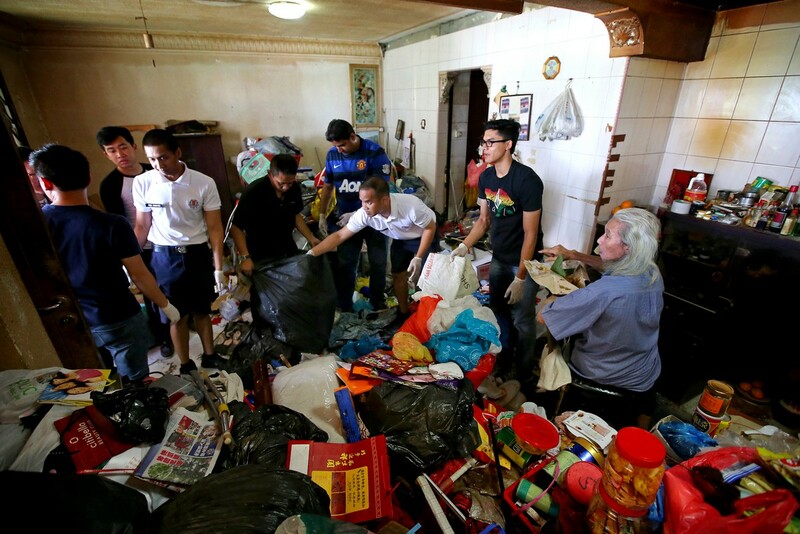 Despite their best efforts, the volunteers and cleaners managed to declutter only one flat by the end of yesterday. They hope to accomplish more today. When Miss Yoong and her colleagues were asked how they felt as they left at 10pm last night, Miss Yoong said: "Tired is an understatement. We are completely spent and that was only the rubbish-throwing part of the process. "As tired as we are, we will be back tomorrow to start with the scrubbing part of the cleaning. Quite frankly, I am game to spend another weekend here clearing out the other home." 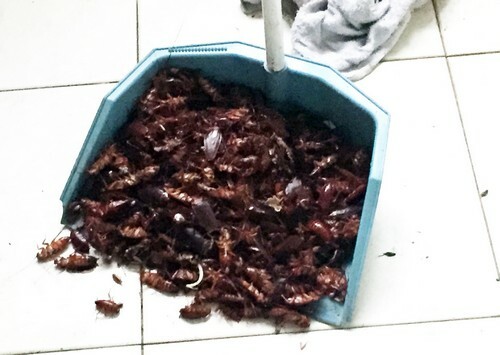 There were once 2,000 to 3,000 cockroaches in the Lim family's home in Jurong West. 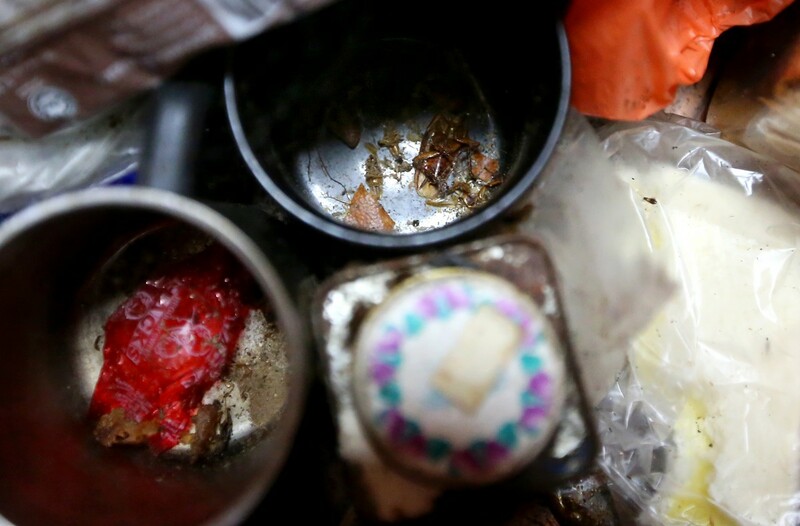 There was so much junk in the four-room flat it allowed the roaches and bed bugs to breed rapidly. 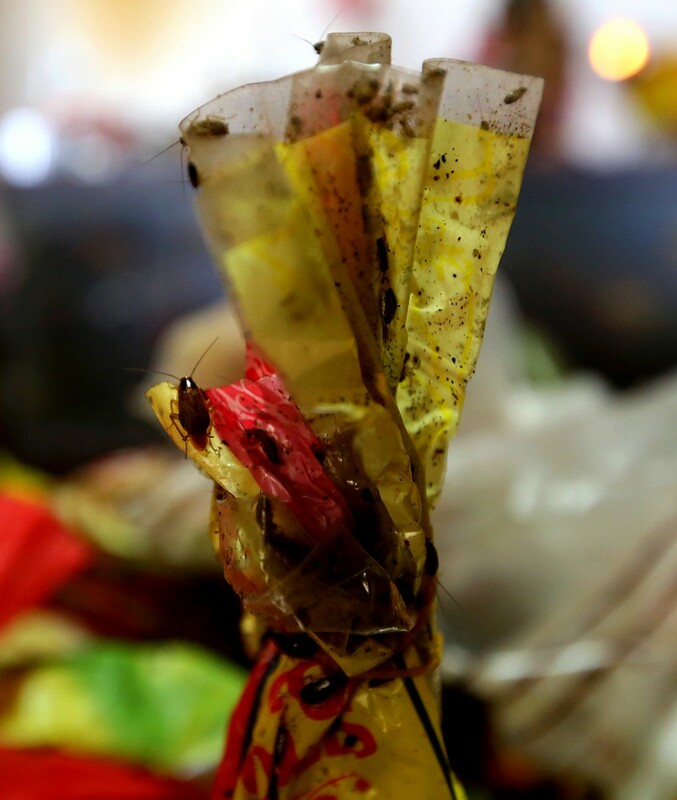 The junk included a rubbish chute cover, dirty furniture and clothes, and leftover Chinese New Year goodies and the pests had a field day scurrying around 8,000kg of trash. 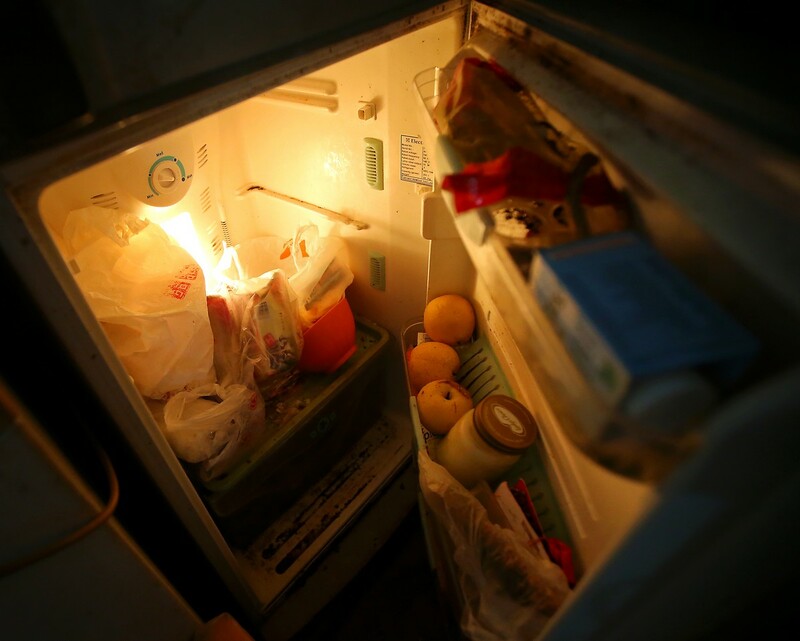 But after a six-day cleanup, one of the flat's occupants said she could finally sleep for 12 hours without being bitten by bugs. 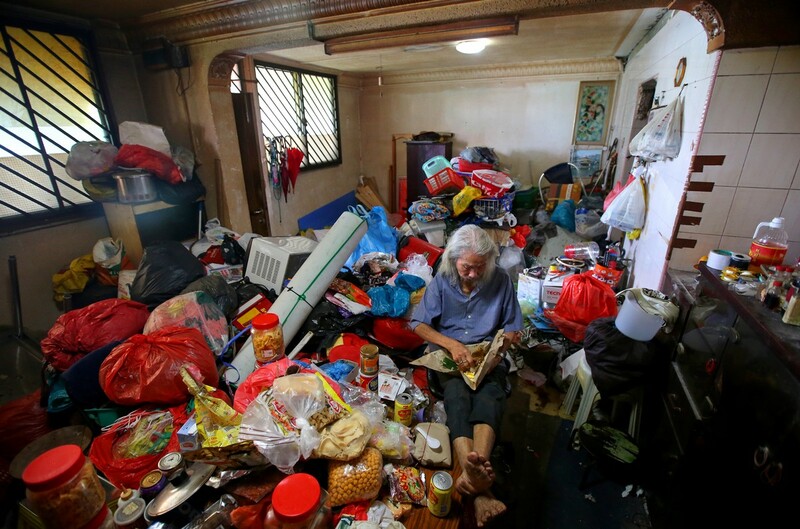 Last week, The New Paper reported on how the family of Mr Lim Lye Soon, 83, was found living amid the junk in two adjoining flats at Block 919. 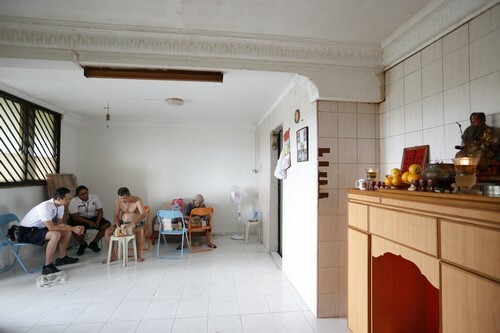 Mr Lim lives in one unit with his daughter, Ms Lim Siew Tin, 52, and his youngest son, Mr Lim Tian Wah, 49. Click on to read the background story of Mr Lim. 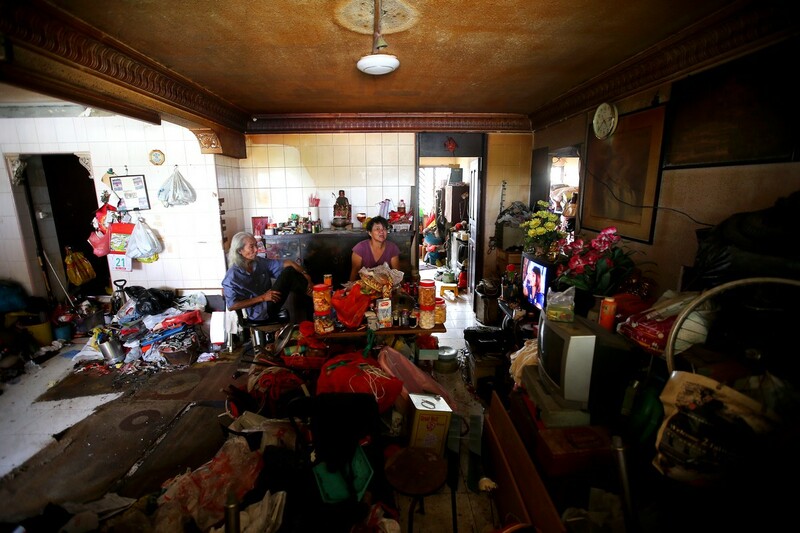 The old man and his elderly daughter sat in the dimly lit and crowded living room, amid soggy cardboard scraps, heaps of plastic bottles, loose cables and an altar with open flames. Scores of cockroaches scurried across the items. There were 50 cockroaches in one plastic bag and another 15 in a metal cup. Half a dozen crawled around an open pot of cooked rice on a counter top. 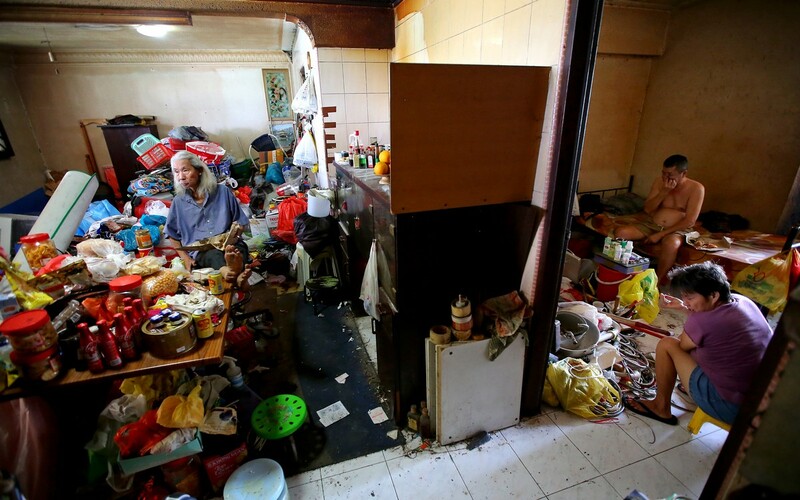 Neighbours said the family, consisting of the man, Mr Lim Lye Soon, 83, his daughter, Ms Lim Siew Tin, 52, and his son, Mr Lim Tian Wah, 49, have been living like this in their four-room flat on the ninth storey of Block 919 in Jurong West for years. 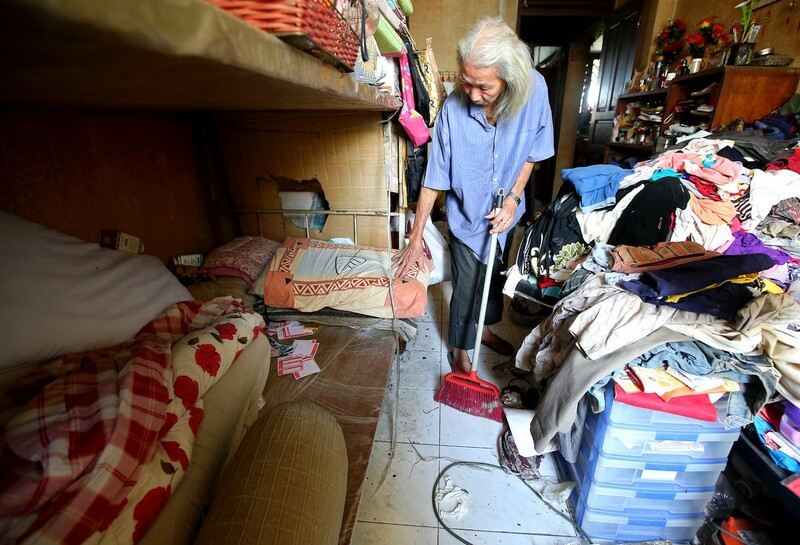 Two other sons, Mr Lim Thien Seng, 53, and Mr Lim Tuan Huat, 56, who is bedridden, live in another flat next door. It is equally cluttered and filthy. All the siblings are believed to be Institute of Mental Health patients. Mr Lim's wife and another daughter have died. 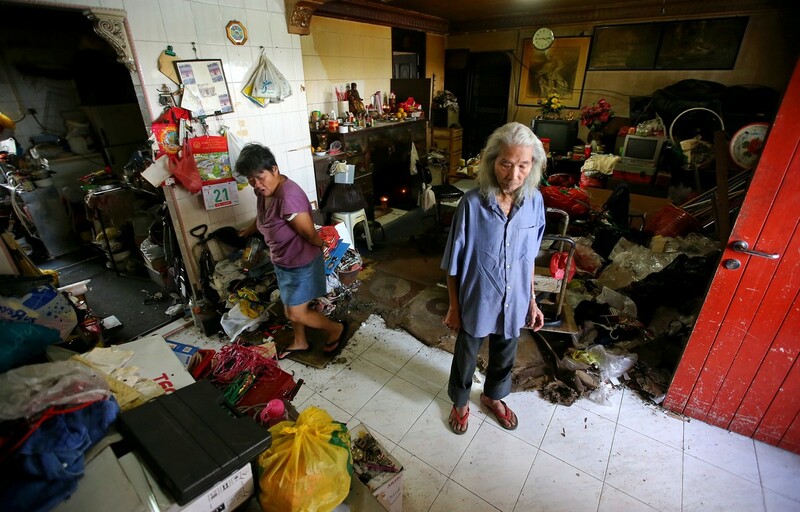 Ms Lim and her father work as rag-and-bone collectors. Everything in the house, she said, belongs to them. "My father keeps bringing things in," said Ms Lim. "Wherever we feel like cleaning, we will clean. When the cockroaches die, we just sweep them up because they become smelly." 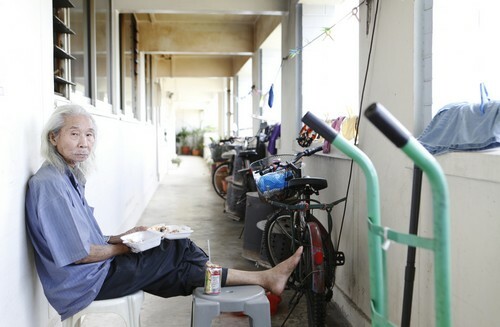 Mr Lim Thien Seng was singing and dancing in his home when The New Paper visited the flats yesterday. Neighbours said that cockroaches have been flying from the Lim family's flats into their homes. Miss Ang Li Chang, 27, who lives next door, said: "Insects and cockroaches have been flying through the windows and from the kitchen." 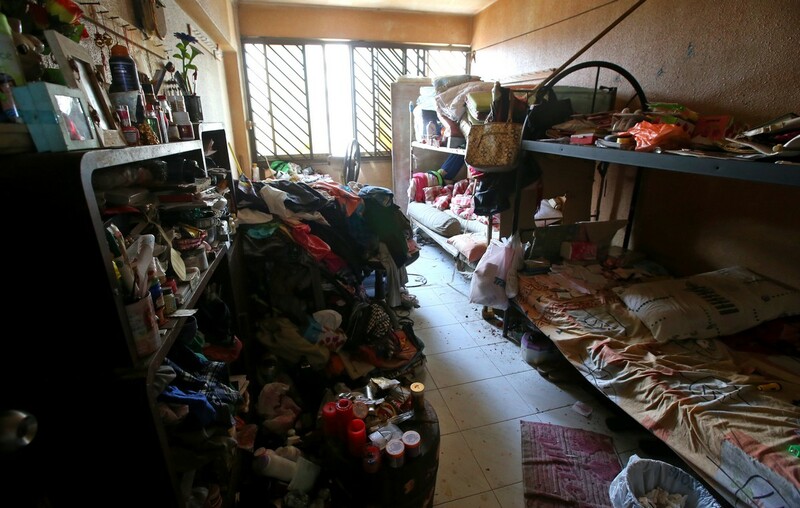 A housewife, who wanted to be known only as Madam Sani, 46, and who lives in one of the units below, said: "I close my windows because if I open them, cockroaches will fly in." Neighbours said they dread walking past the flats. 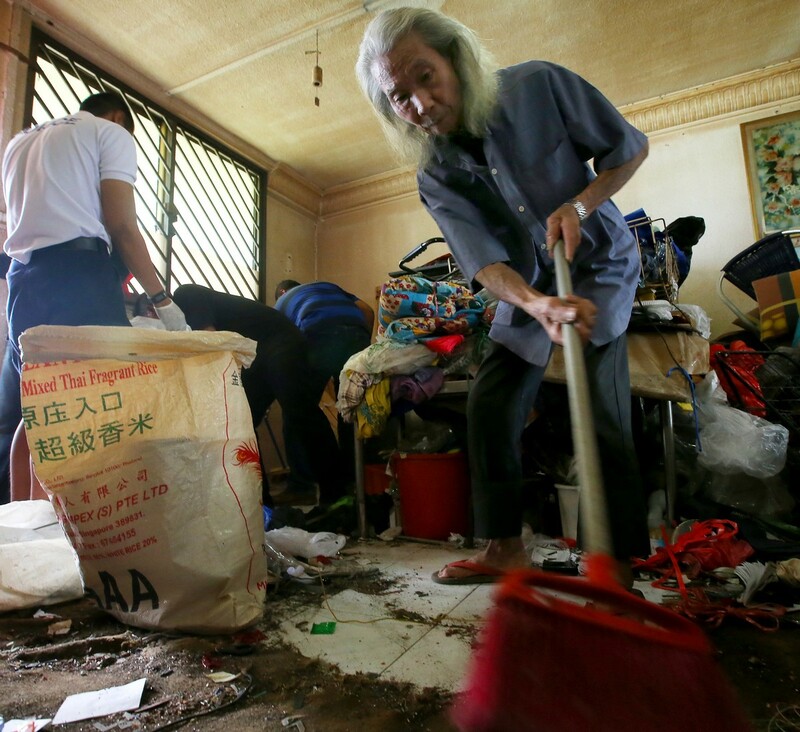 Another neighbour, who wanted to be known only as Madam Goh, 58, a retiree, put it bluntly: "Their house is dirtier than a rubbish dump." Some were sympathetic, but they did not know how to help. 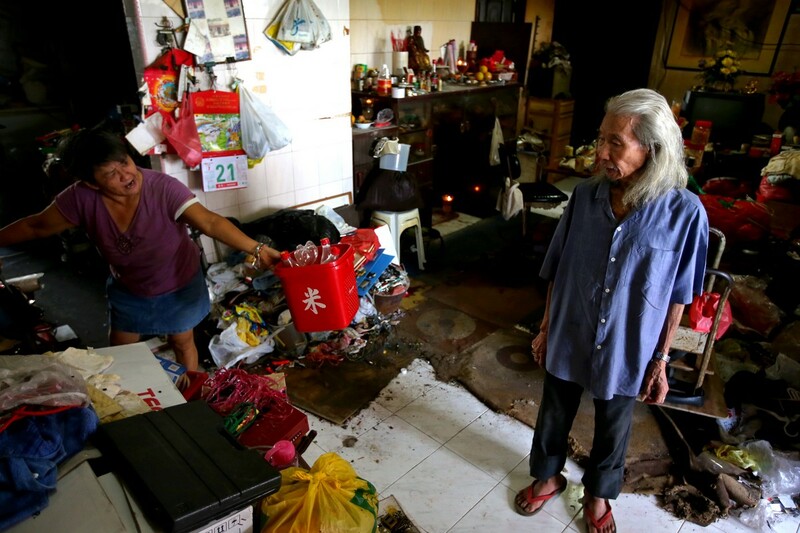 Madam Maggie Yeo, 69, a retiree who lives on the same floor as the Lims, said: "The family is poor, so we are okay (with how they are)." All this changed on July 16. A resident called the police to inform them about a man who seemed to be lost. 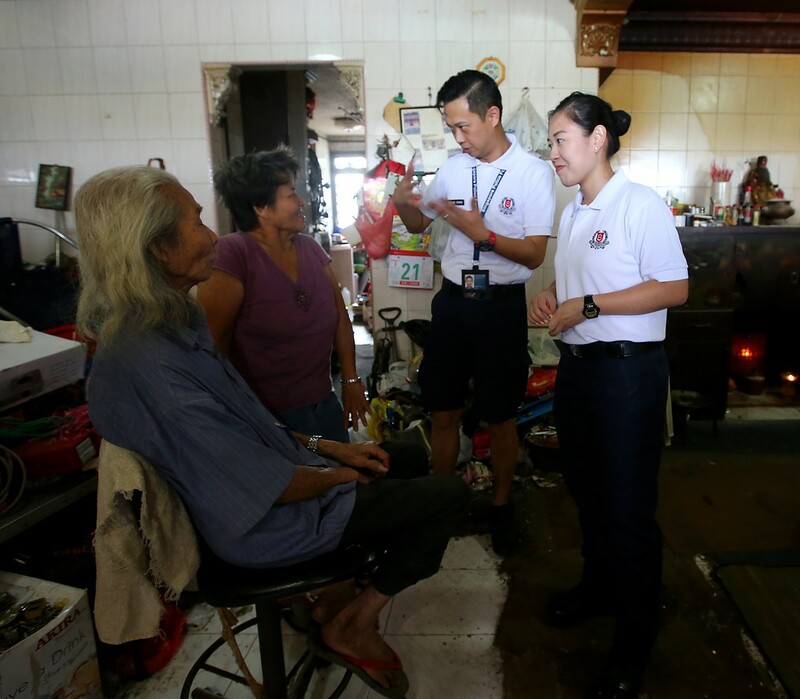 Staff Sergeant Koh Seo Kuan, 27, found the elderly Mr Lim trying to force a metal cabinet and two bags of clothes into a lift in a nearby block. 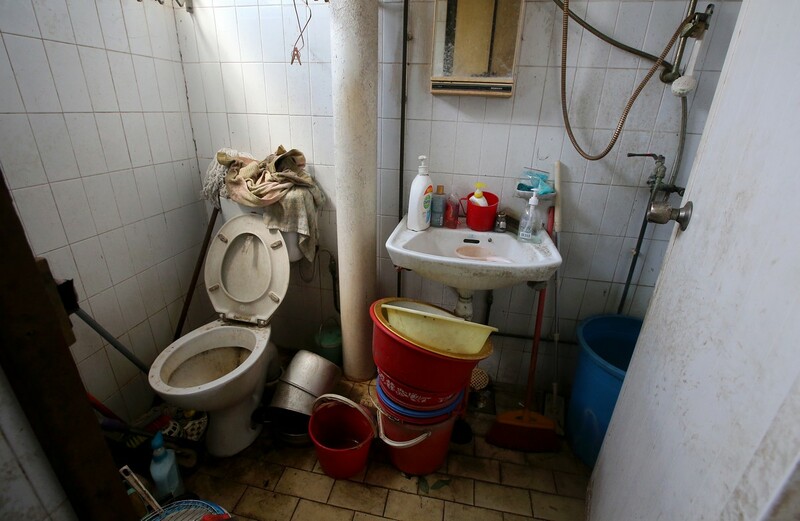 SSG Koh was taken aback when she saw his flat. She said: "I had the shock of my life. The place was not fit for people to live."